Notes: Only four or so of these known, three of the four known are from the Hemingray dump. One was recently discovered with signs of use (rust for the wire that was attached to it). 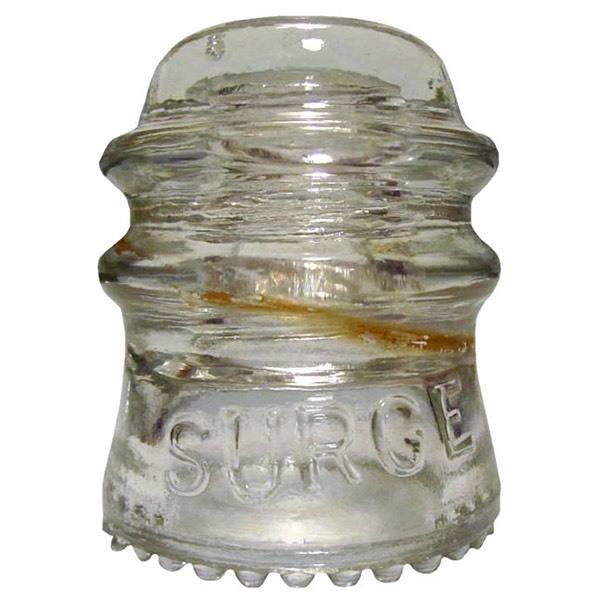 Hemingray made these "SURGE" insulators for Babson Bros. Company. Production years and more information on Surge can be found in this article.